Edit**Don't bother reading this now, This was just a test, don't hate. ._. I was playing Minecraft. And was getting more and more wood. 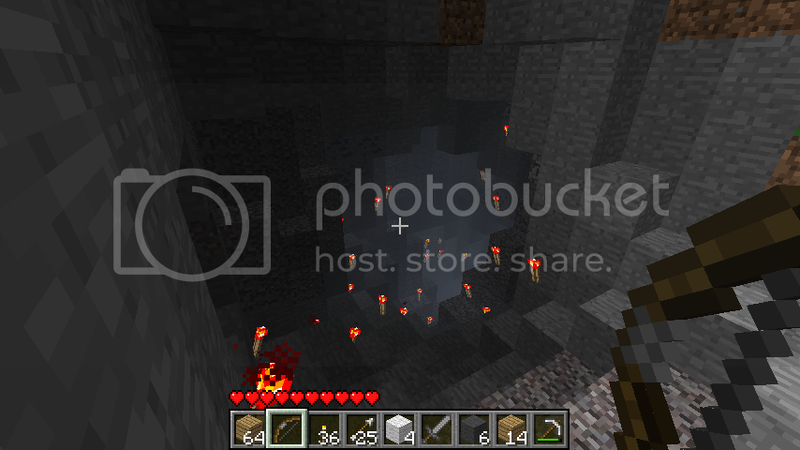 I found this weird cave with redstone torches. 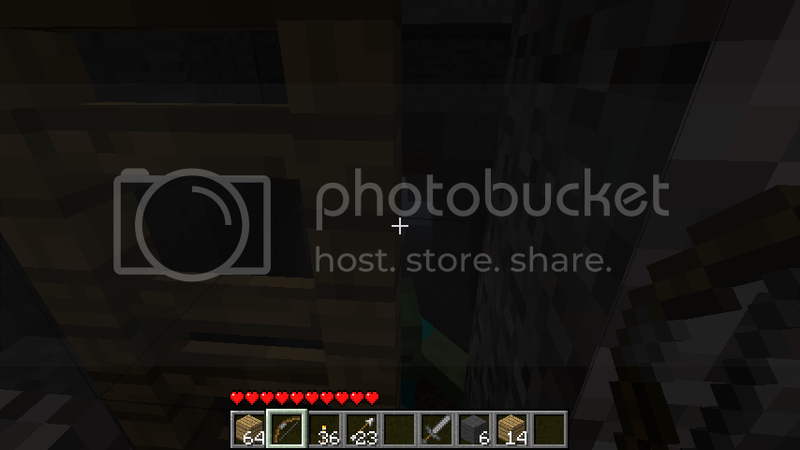 I went deeper in it, and the torches ended, but it was blocked with a fence. o.o WTF?!?!?! Edit: The last one is the fence. Edit**Bonreocat figured out this was fake, this wasn't intended to trick you, just to test your sense of sight. Umm you guys do realize this thread was made months ago right? Damn, Is Herobrine hosting ANOTHER rave? That's the 3rd one this week! Where space chicken was born! btw i knew you were lieing! lol dude u trolled some people who cares ? Of course it is, where do you think Herobrine came from, Stupidity? Well done you've started a cult, proud? FAKE. Thats all i need to say. Lawl, it was just a test. ...You do realize your about to get ripped apart by everyone who believed you? ALL HAIL THE MAGNIFICENT SPACE CHICKEN WHO'S SPACESHIP CRASHED AND LEFT A LOAD OF REDSTONE TORCHES AND WHO TURNED INTO A ZOMBIE! who to trust? the new miner or the expert unicorn? Creeper spawners do exist, even if you don't use mods, they're just very rare. Unedited Monster Spawners will spawn Spiders, Skeletons, or Zombies. 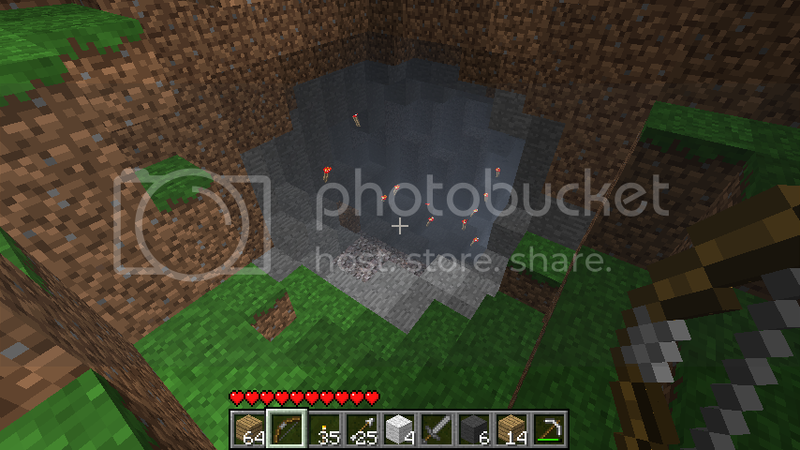 Spawners do not drop resources when destroyed, and a placed spawner will spawn only pigs. The spawner type can be changed through Hacking. Spawners can be given unusual entity IDs like Minecart or Boat to make a decorative block with the named entity spinning inside the cage. Oh really? Must be one of my mods then. If this was REAL it would be 1.8 DUNGDEN thing BUT it did not have STONE BRIKZ! I wanted a reason on why it was fake, not just someone saying "That's fake"
Why would you tell me your plan? Doesn't that make me NOT go? I WILL. ;DDD Btw, that'd be epic if that happened to someone.